Competition for the right IT talent is fiercer than ever, with companies of all sizes, industries and locations, struggling to fill vital IT roles with individuals that possess the necessary skillsets and talent. In fact, skills shortages that could potentially hinder a company’s growth, is a leading concern for many CEOs. Social media is having a huge impact on the recruitment industry and can help companies overcome skills shortages by finding and attracting the right talent – providing employers get social media right. When used correctly social media platforms can be a pivotal feature to fight against the plight of skills shortages. Take a look at the following tips on how to use social media to find the best IT talent. The key to successfully using social media to find and recruit IT talent is to identify relevant conversations and become part of them. Using hashtags is an effective way to get your IT talent goals and posts in front of the right people. For example, if you are looking for a talented iOS developer to join your team, use an #IOSDeveloper hashtag and post a call out for developers on the likes of Twitter, so the relevant people can find your tweet, join in the conversation and even message you with their details. Individuals with specific IT skills are in high demand and can afford to be picky when it comes to who they work for. With more and more candidates prioritising an endearing company culture when looking for jobs, one that offers flexible working patterns and ongoing career development and training, it is important that employers offer such desirable cultures for employees. Furthermore, they need to promote their employee-focused culture to attract potential IT talent to their team. There’s no place quite like social media to effectively promote your attractive company culture. While you should avoid overstating how great your company is to work for, use social media to subtly promote the benefits of working for your brand. Share content, such as videos and images of company parties, dress down days, free coffee, tea and fruit, staff training, brainstorming sessions, cycling to work campaigns, breakout rooms and more, to show your company is the best of lights and to reach out to talented individuals looking to work for an exceptional company that has its employees’ best interests at heart. LinkedIn alone has transformed the world of recruiting, helping brands and candidates connect in the swipe of a mouse. The power of LinkedIn should never be underestimated when it comes to attracting the right talent to your team. Utilise LinkedIn to the maximum by ensuring your brand page is fully complete so that it shows up on LinkedIn search results and showcases your highly sought-after company culture. When searching for candidates on LinkedIn use filters to find individuals with the right skillsets. 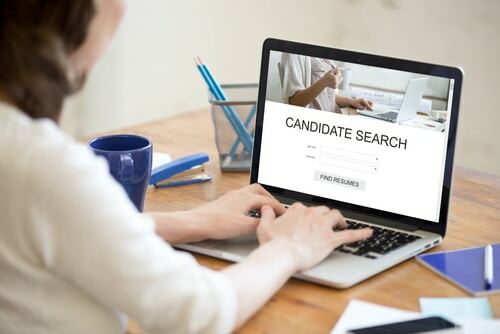 Filters include location, years of experience, current and past employers, and other key features that can help you determine whether a candidate would be suitable for your IT role. Social media can also be an effective tool for weeding out potentially iffy candidates. Have a browse through a different social media profiles and if they’re behaving badly on their platforms and appear to have a bad attitude, the chances are they might not be right for your company and its culture. Adria Solutions takes a different approach to digital, tech and IT recruitment. Our specialists use every possible resource, network and contact to unearth the best talent, including social media in its various guises. No talented IT candidate is ever overlooked when our recruitment consultants are on the case. Please feel free to get in touch with the Adria Solutions’ team by calling 01625 874399 or emailing info@adriasolutions.co.uk to find out more about our unique services for hiring firms and job-seeking candidates. Why employee engagement could be the key to retention for tech firms!